Fellow composer Christian Wolff once described Morton Feldman’s working method, presumably in the 1950s: “He used to put sheets of graph paper on the wall, and work on them like paintings. Slowly his notation would accumulate, and from time to time he’d stand back to look at the overall design.” Feldman, who took profound inspiration from painting, was extremely articulate in explaining how he carried insights derived from art—particularly the works of Mondrian and the American Abstract Expressionists—into his music. 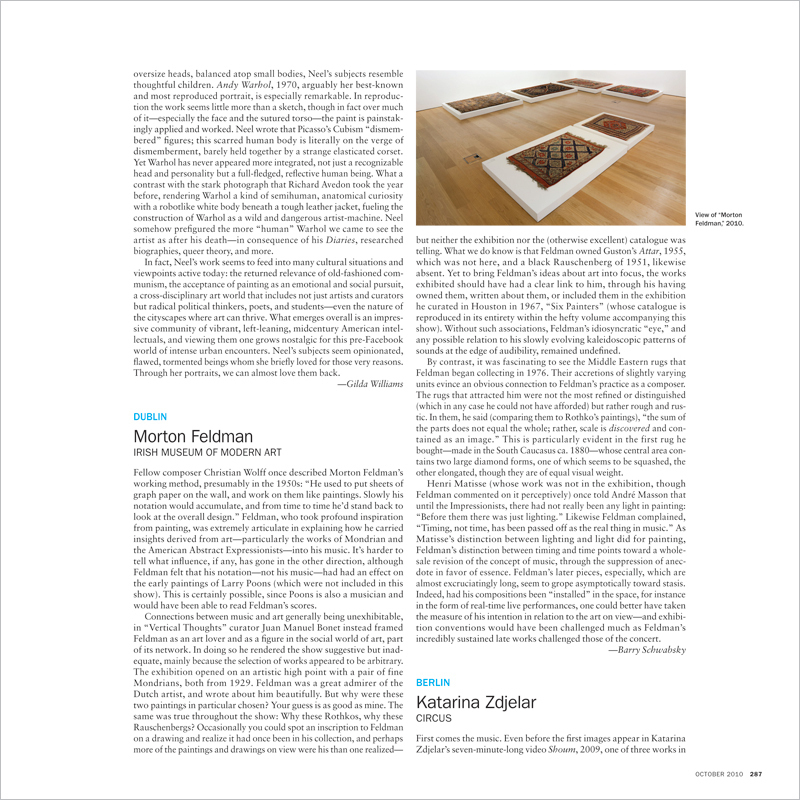 It’s harder to tell what influence, if any, has gone in the other direction, although Feldman felt that his notation—not his music—had had an effect on the early paintings of Larry Poons (which were not included in this show). This is certainly possible, since Poons is also a musician and would have been able to read Feldman’s scores.